Say goodbye to the Burst Rifle. Fortnite’s v7.30 patch notes are here, and it reveals that the update is filled with weapon changes and bug fixes. Before the notes went live this morning, we already knew what we could expect. The Chiller Grenade was teased yesterday, which made us assume it would be released today along with the v7.30 update. And it will be. 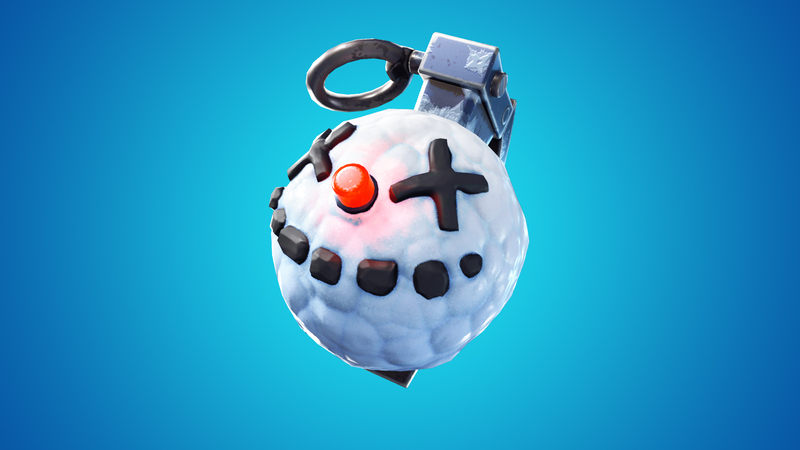 Chiller Grenades are a common explosive that knocks players back and freezes their feet, “causing them to slide along the ground,” Epic said. It also affects vehicles, making them slide for seven seconds. Chiller Grenades are only found on Floor Loot and Vending Machines, so they won’t affect the drop rates of other items in chests. Several weapons are going to the vault and will become unavailable in standard modes and Fortnite events. The Bolt-Action Sniper Rifles, the Heavy Shotgun, and the Common, Uncommon, and Rare SMGs are going to the vault, along with the remaining Epic and Legendary variants of the Burst Rifle. That means the Burst Rifle is gone for good, since its low-rarity variants were vaulted in the v7.10 update. And once again, Epic is taking a gun off the vault. Common, Uncommon, and Rare Suppressed SMGs are returning to the game once again, apparently without any changes to the stats they had prior to being vaulted in the beginning of season six. Epic changed the amount of material players get from sources other than harvesting. Materials from chest and Floor Loot now come in stacks of 30 instead of 20, and those from Supply Drops come in 60 instead of 40. These are 50-percent increases in both cases, which can make a huge difference in the amount of material players have in mid and late-game. This is the patch of bug fixes. Epic rolled out about 40 bug fixes that cover all areas of the game, including audio, gameplay, mobile, and user interface. The most important ones for players are fixes in frame rate drops when sudden changes happen in-game, like large changes in view direction. Fortnite players will see the return of the Limited Time Mode Solid Gold, which features only legendary weapons. In the Events department, the Architect Pop-Up Cup will allow players to edit any player-made structure, regardless if they were built by allies or not. All changes from v7.30 will be available for testing by the players once the server downtime is over in a couple of hours.